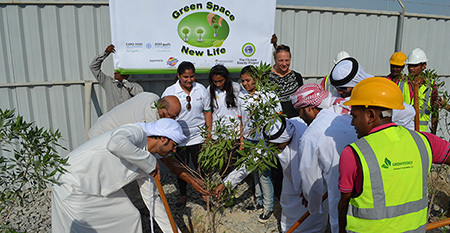 Green Energy Solutions & Sustainability LLC as a company embodies the values and spirit that has made Dubai a city with a vision to become a global leader. Setting the standards high and striving to achieve the impossible has been bread into the hearts and souls of my people. As an Emirati, I am proud to be associated with a group of hardworking determined individuals that together make GESS the company that will set the bar for sustainability and “green solutions” in the region. GESS is proud to be working with Dubai Municipality in the Al Qusais landfill to implement the first landfill gas flaring project in the UAE that will keep the landfill active, reduce the greenhouse gases and lower the overall carbon footprint of Dubai. Growing up in Dubai my Father taught us not to take for granted what God has given us and to always be thankful and mindful of our environment. This will always stay with me and has become a part of our mission and goal with GESS to leave a “green” footprint on the land for generations to come. We believe that you are only as good as the team you work with and we are proud to say that we have a strong team working together on site as well as in the office towards the successful development and implementation the Al Qusais Project. We are committed to the development of new opportunities around the region focusing on “Green” initiatives and Environmental solutions. Sustainability must strike a delicate balance between the economic growth in developing countries and the need for environmental management solutions. Environmental responsibility must accompany that growth. We work specifically within the guidelines of the United Nations Framework Convention on Climate Change (UNFCCC) to provide these real solutions in the developing countries in our region with a global vision towards a zero carbon footprint.